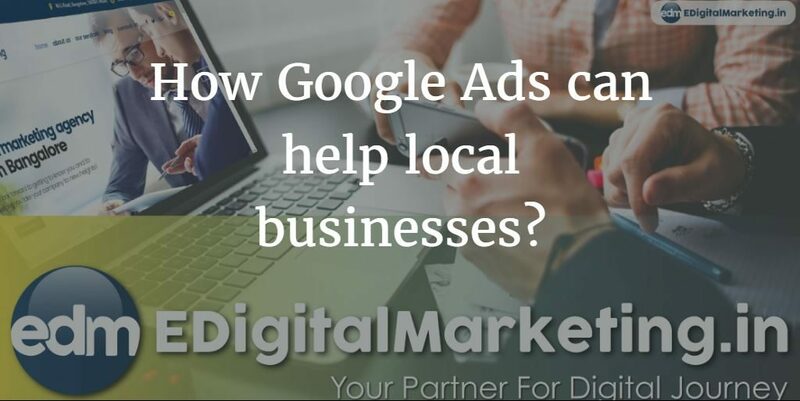 How Google Ads can help local businesses? As the days go by, the business world is evolving to become a rather online affair. Now, more than ever, businesses are moving into online operations including, online payments, advertisements and even sales. Essentially, even businesses that have nothing in common with the internet, are still struggling to find a meeting point between themselves and the online platform. So, why is everyone concerned with getting their business known on the internet? It all narrows down to one thing, and that’s marketing. Through advertising Platforms such as Google Adwords, you can get your business known by exactly the people you need, in no time. Currently, Google Adwords is the largest pay per click advertising service on the globe. The mechanism behind its success is partly based on the fact that it only places ads relevant to the search terms or keywords that are being searched for. This way, Google is able to help you reach only those people that are interested in what you are selling. For example, if you decide to advertise your flower delivery business through Google Ads, your ads will only appear in the relevant locations. In this case, they will appear in places like automotive blogs and online auto spares stores. Unfortunately, most business owners are still adamant to invest seriously in online advertising; probably because most of them aren’t tech-gurus. The only problem with this rigidity is that very soon traditional advertising methods such as TV and Radio Ads will be ineffective. Already, marketing experts have proven that online advertising is way more effective than TV ads. The personalised display of ads that Google Ads achieve through relating ads with keywords, is important for businesses. Why? Since only those who are interested in your niche, get to know about it. Therefore, there is a higher likelihood for the ads triggering a purchase than in TV Commercials. The good thing is that Google Adwords doesn’t discriminate between large and small business. It provides equal opportunities for everyone. As a matter of fact, Local businesses stand to benefit more from Google ads as they can be accessed easily by the interested parties. This tells you that the sooner you incorporate Google Ads in your business the better for you. Here are some of the ways local businesses can benefit from Google Ads. Unlike in the case of TV and Radio adverts, Google ads provide accurate data about a local market. For instance, you can measure the effectiveness of your SEO campaign just buy analysing your rankings. With the help of a local Google Adwords consultant, you can be able to use the data collected in the SEO campaign to effectively know what works for your business and what doesn’t. This is a privilege that businesses using print media and TV advertisements don’t have. Since Google Ads are more engaging than a typical TV ad, your local business somehow gets more attention from local viewers than when your adverts are placed in a newspaper or on Television. What’s even better, Google is always making sure that it places your ads only to the relevant people and this doubles the chances for a possible purchase. The main reason why most local businesses are doing very little of advertising is because the whole exercise is expensive. However, with a good local PPC consultant, you can successfully manage your advertising costs. Budget scalability is easily achievable if you are using Google ads. What this means is that you can decrease your ads as your budget decreases and still maintain your online presence.